If Nate Diaz was smoking cannabidiol (CBD) in his post-fight interview, then he is at risk of being penalized by the UFC’s anti-doping agency. If you didn’t get a chance to watch this past Saturday’s UFC 202 fight between Conor McGregor and Nate Diaz, then you missed out. The two UFC champions met for the second time. This meeting determined the welterweight title, but has opened the door for controversy-cannabis controversy. Diaz smoked a cannabidiol (CBD) vaporizer in his post fight interviews and is now in some hot water. UFC fighters are governed by the same testing thresholds as Olympians. That means, when the World Anti-Doping Agency (WADA) increased the cannabinoid threshold from 15 nanograms to 150 nanograms, it wasn’t only Michael Phelps cheering – it was Nate Diaz too. But these guys aren’t excited about getting high. In Diaz’ case, he is excited because he can access the healing powers of CBD without getting hung up on painkillers. Or so he thought. According to MMA Fighting Magazine, the changes in WADA’s cannabinoid policy were meant to allow use up to 6 hours before a fight, and not until 6 hours after a fight. I am sure that Diaz thought he was avoiding the WADA rules by vaping non-psychoactive CBD, but unfortunately he wasn’t. WADA tests not only for THC, but over 113 other cannabinoids (including CBD), and bans them at the 150 nanogram threshold. Diaz has several previous run-ins with WADA cannabinoid testing. When applying for his license to fight in UFC 183 in January 2015, Diaz failed several tests. Initially, he produced a sample of 300ng/ml, which is two times the acceptable threshold. He then made several more submissions before finally being accepted 3 days before the fight. Hopefully, the investigators take into consideration that his use of CBD did not affect the fight. How many times do we have to explain this stuff to the regulators? CBD is non-psychoactive and non-addictive. They are cool with painkillers that tear up your organs, but a little CBD or THC for that matter is demonic. Give us all a break already. 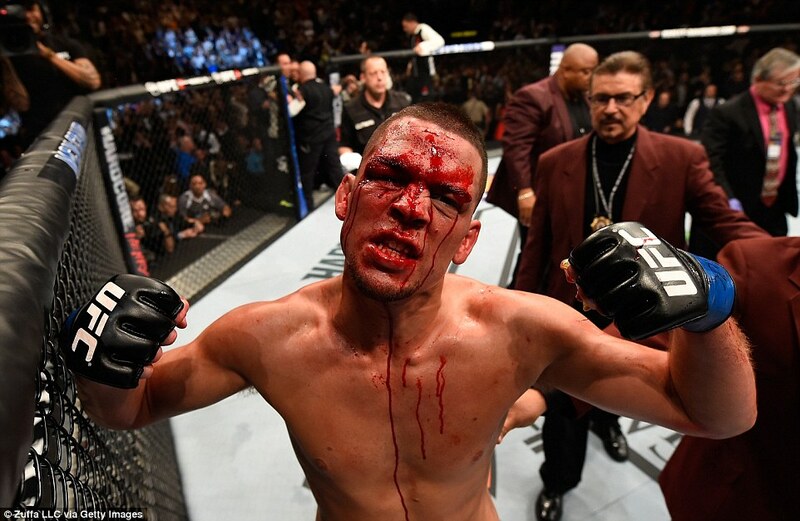 Do you think Nate Diaz should be punished for using CBD? Let us know on social media or in the comments below.